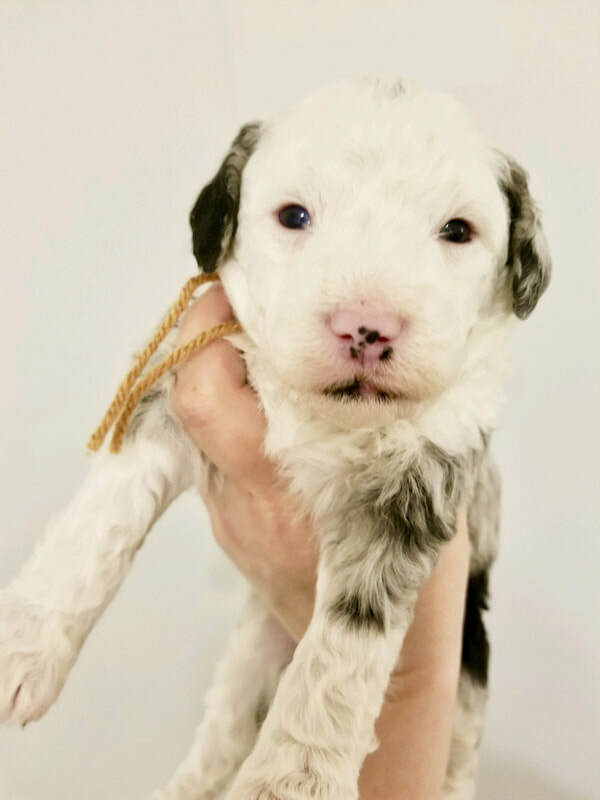 Weight estimation for this litter: 20-45 pounds. 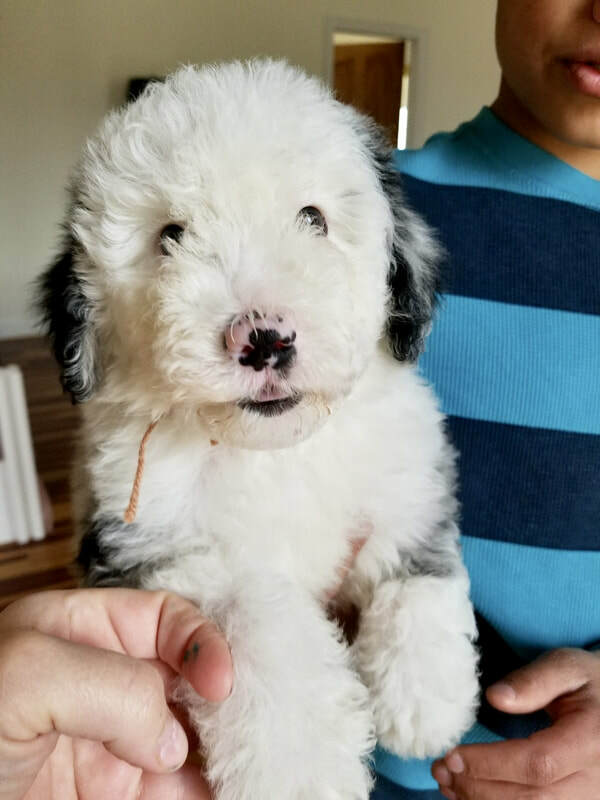 95% of sheepadoodle noses turn from pink to black in the first few months of life. 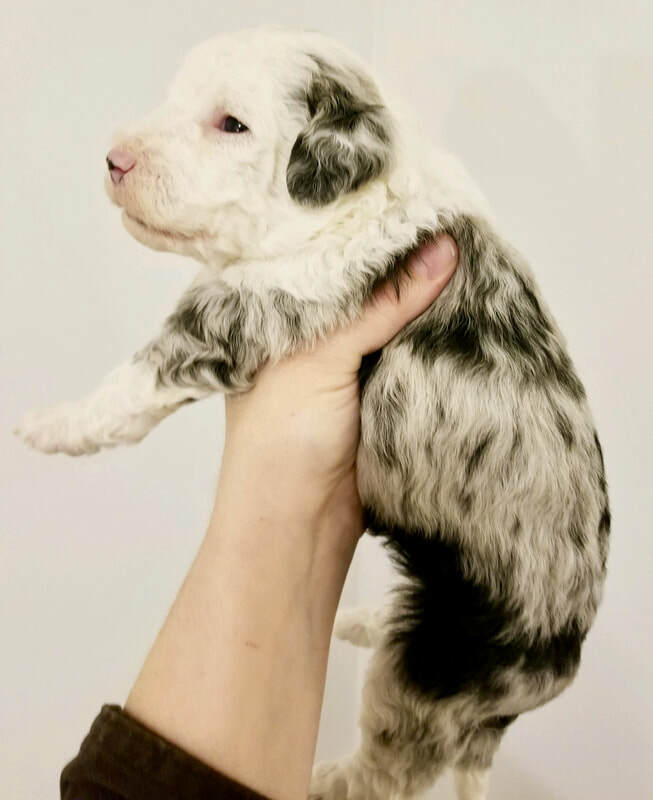 Born Feb 7. 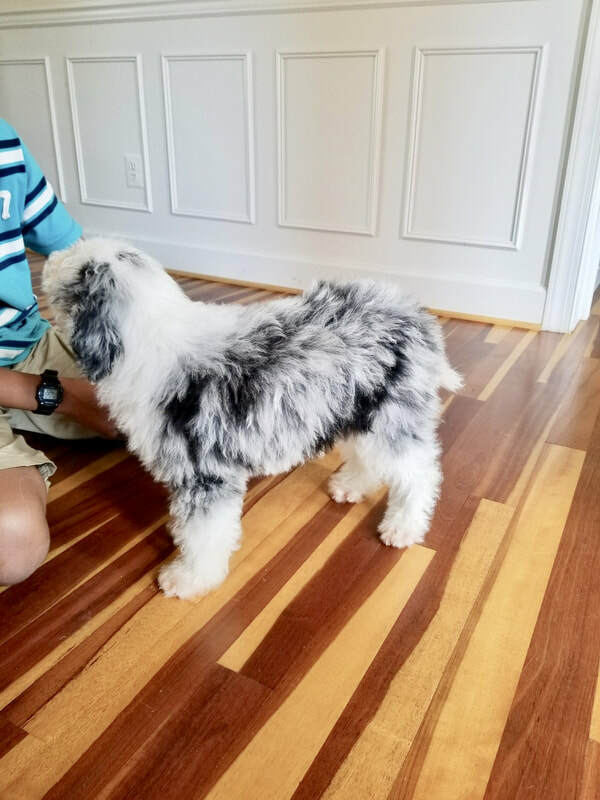 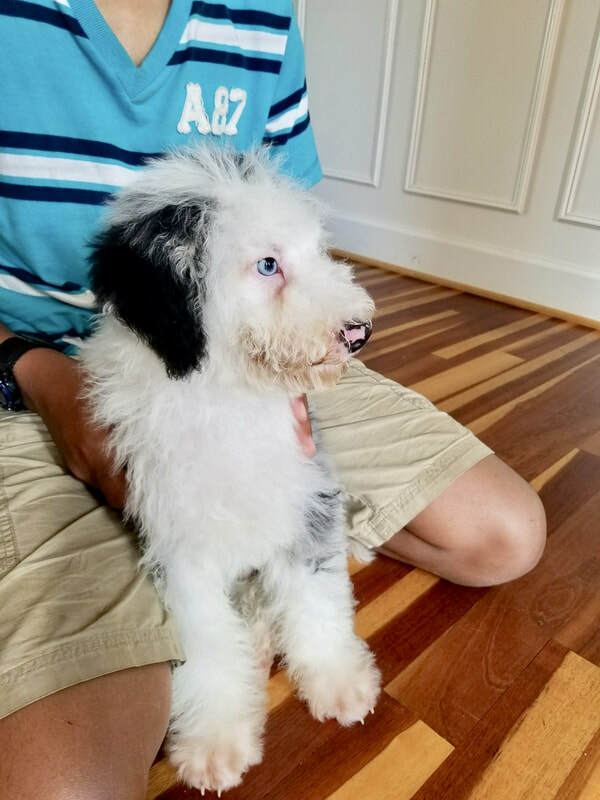 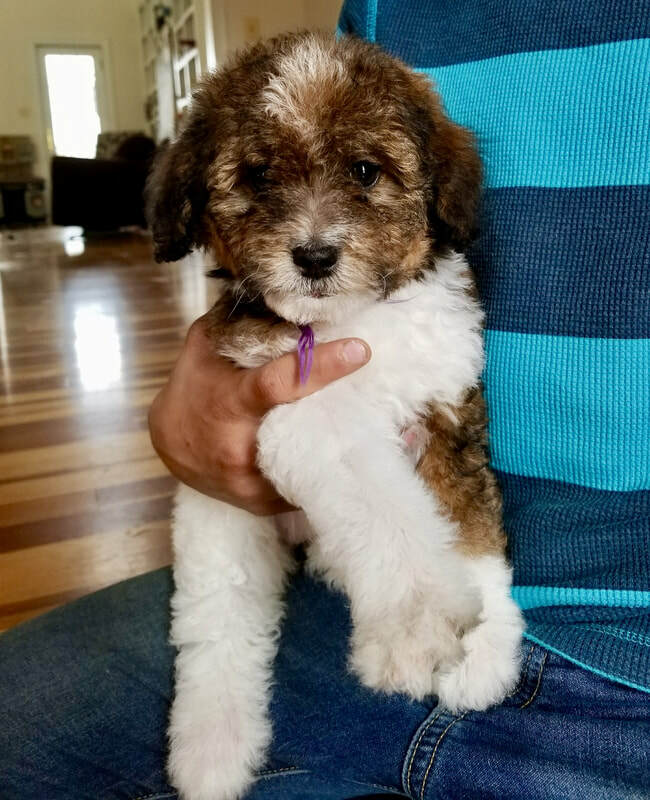 For more information about our sheepadoodle program, what sizes we offer, pricing, future litter timing, etc... 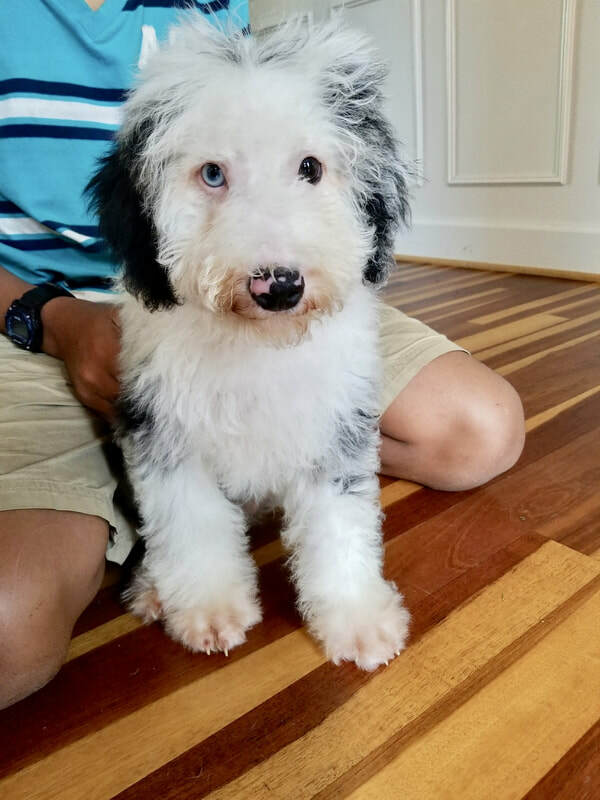 Please click on the button to go to our our main sheepadoodle page. 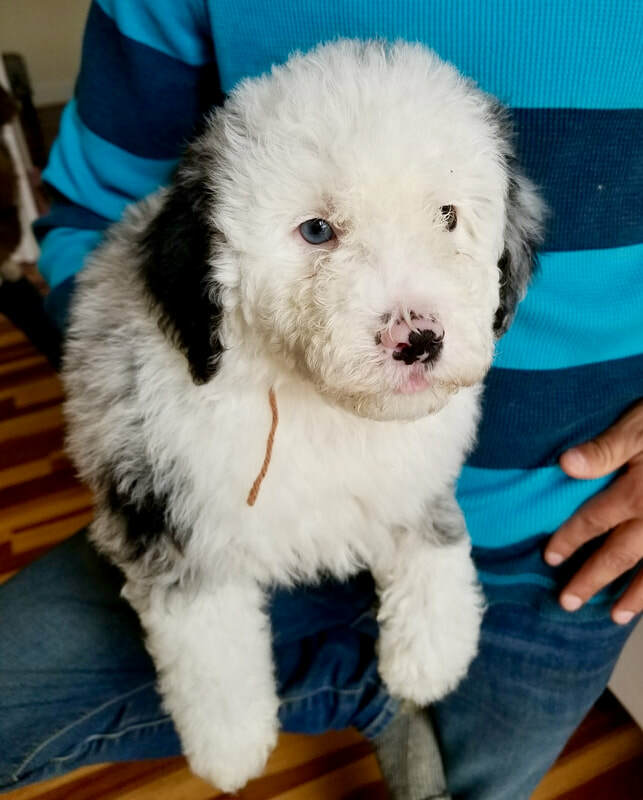 Excuse my wet face, I was just helping myself to a drink of water.